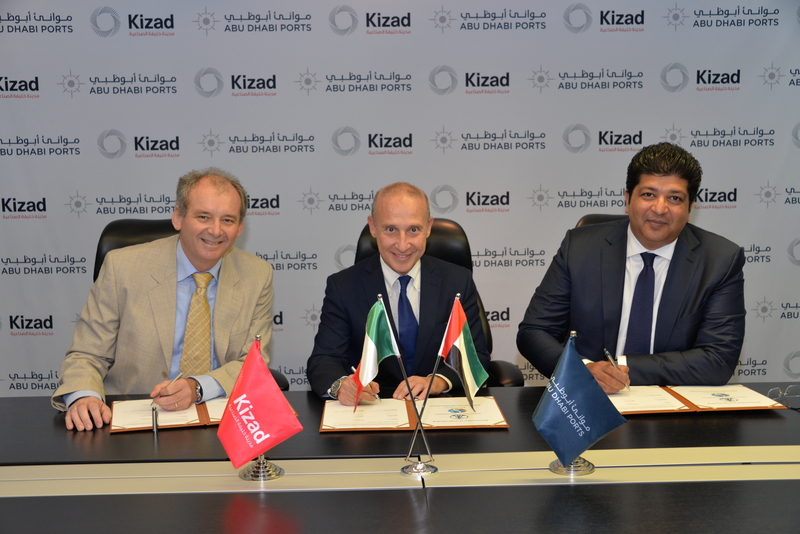 Abu Dhabi, UAE: Abu Dhabi Ports hosted the signing of a Memorandum of Understanding (MoU) between SIDDCO Group and Istituto Italiano della Saldatura (IIS), that will see the two organizations collaborate to provide internationally recognised training and certification programmes to Emirati and non-Emirati professionals in Abu Dhabi and across the United Arab Emirates (UAE). The training centre is part of SIDDCO Group’s new facility, iNGENIUM, based in Abu Dhabi Port’s Khalifa industrial zone (Kizad). The MoU was signed on Thursday May 28th in Kizad, under the patronage of the Italian Ambassador to the UAE, H.E. Giorgio Starace, following the SMA signing for SIDDCO Group’s new, AED 130 million engineering facility, iNGENIUM. During the SMA ceremony, SIDDCO unveiled that iNGENIUM, a state-of-the-art facility which will deliver precision automated engineering and fabrication for the regional oil and gas sector, will also include a dedicated training centre backed by IIS, the renowned Italian non-profit welding and metallurgical sciences institute, to promote innovation and improvement in the field of engineering and technology across the UAE. “At SIDDCO we believe in nurturing skills and aspirations while empowering individuals to perform and deliver results. The planned training centre will help facilitate jobs for UAE nationals and expats within the fields of engineering and technology. Training will be available not only for its iNGENIUM employees, but accessible to the personnel of local and international oil and gas companies as well”, stated Mr. Zakee Siddiqi, Chairman and CEO SIDDCO Group. With iNGENIUM, SIDDCO and IIS aim to support the continued development of a skilled workforce by creating jobs and empowering local talent in the fields of engineering and technology. Once complete, the training centre will provide both theoretical and practical programmes – focused on welding operators, coordinators and inspectors – in addition to certifications – the first-of-its-kind in the GCC.